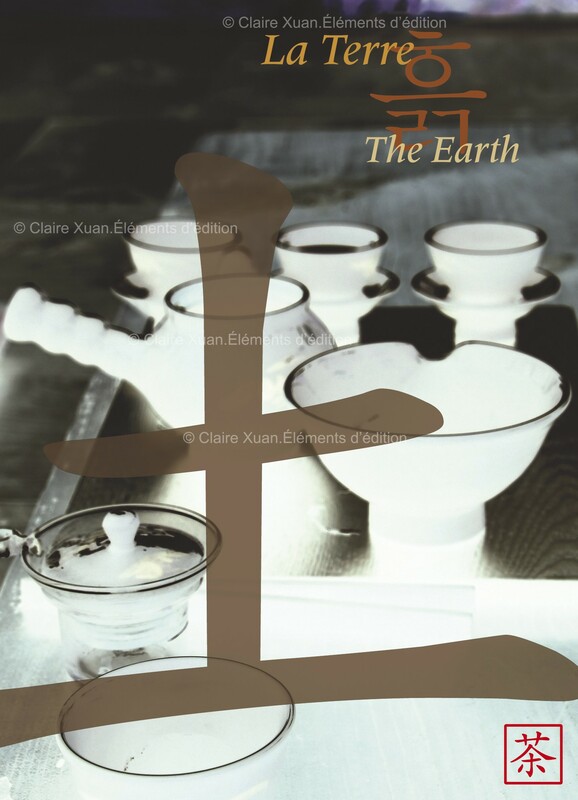 Through a selection of photographs, texts and calligraphies, Teas and Temples from Korea, the tenth portfolio in “the Five Elements Collection”, offers a visit into the rich and singular world of tea and temples in the Land of Morning Calm. It shows how closely connected they are. 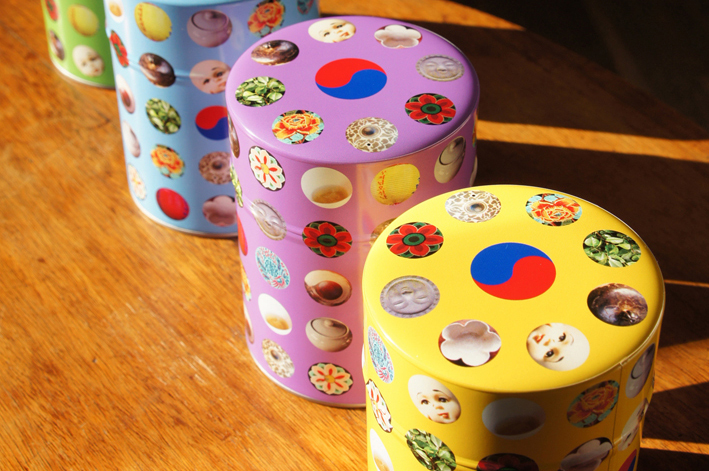 The Korean way of tea or Dado has been highly influenced by Buddhism, Taoism and Confucianism. 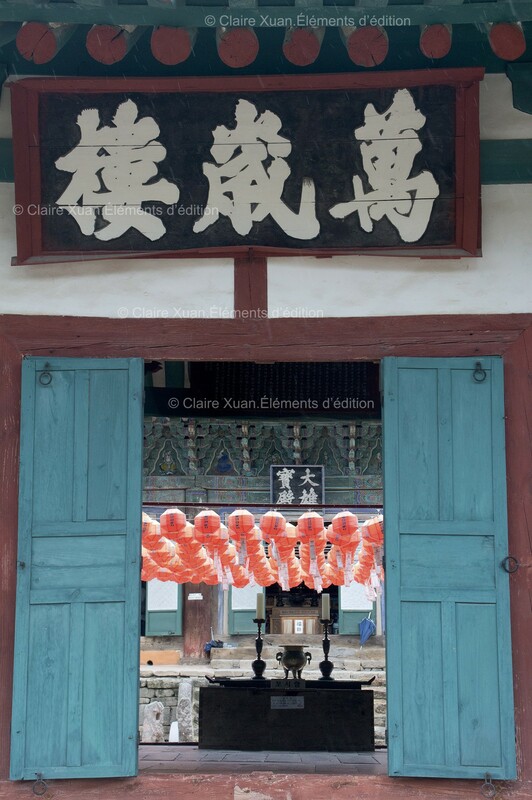 Some photographs were taken in Buddhist temples the beauty of which is only matched by the refinement of tea ceremonies. 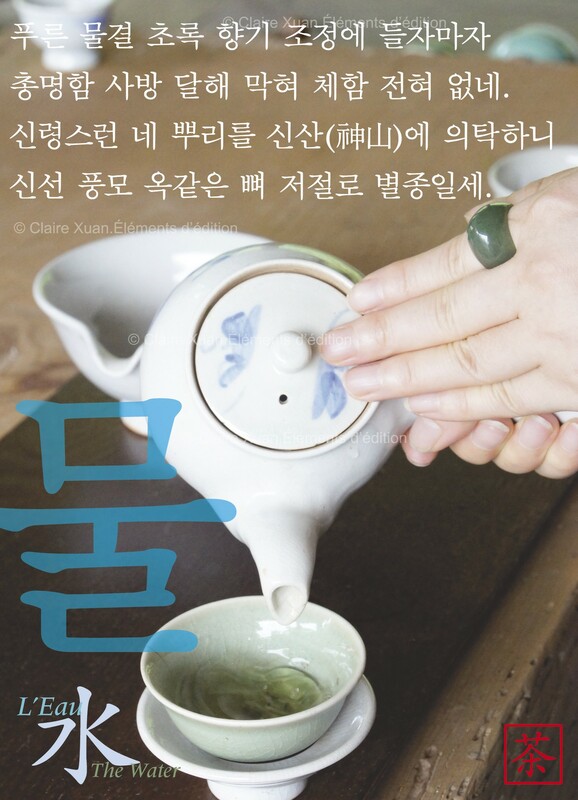 Though less strict and codified than Chanoyou in Japan, the Korean tea ceremony or Darye, follows the etiquette taught by numerous tea masters, the most committed and renowned being Mrs Myung Won Kim Mi-Hee, who started devoting her life to reviving the art of Dado in the 60s. Indeed, the Korean history of the first half of the 20th century had left it aside, so much so that both the history and practice of this art nearly had to be “reinvented”. 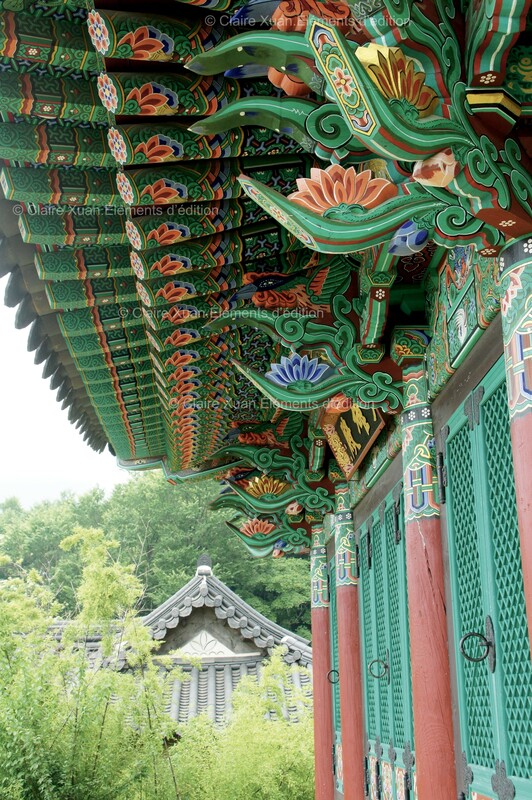 Since 1980, the Myung Folk House – the chairwoman now is her daughter, Mrs Kim Eui-Jung – has housed this National Cultural and Intangible Heritage, and allows visitors to contemplate and perform the graceful and peaceful movements of this ritual. Presented as an offering to Buddha – whose representation you can admire here in Seonunsa Temple – tea has been picked for centuries, mostly in its wild state, in gardens adjoining the temples, and the lives of the monks are punctuated by the tea they share daily during their prayers to attain Enlightenment. 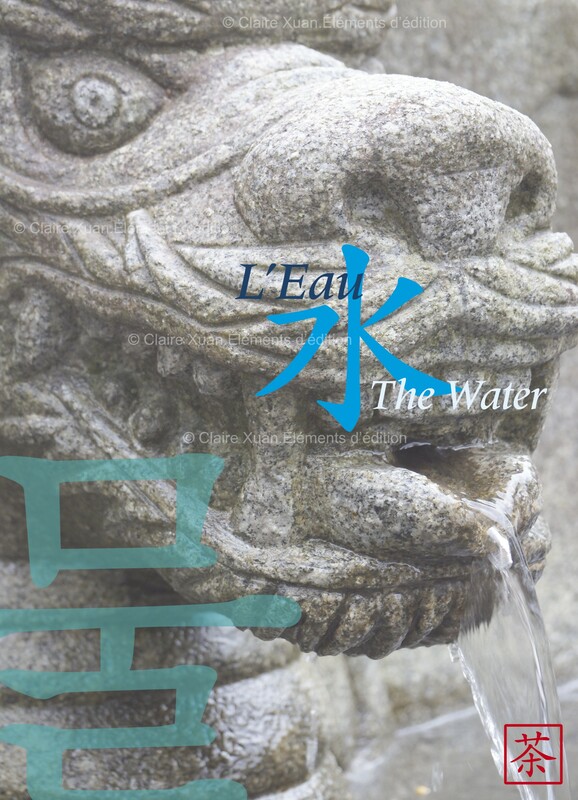 However, Korean people also simply drink and celebrate tea when they practise its art in teahouses – like the highly respected Venerable Cho-ui’s hermitage, Iljiam. 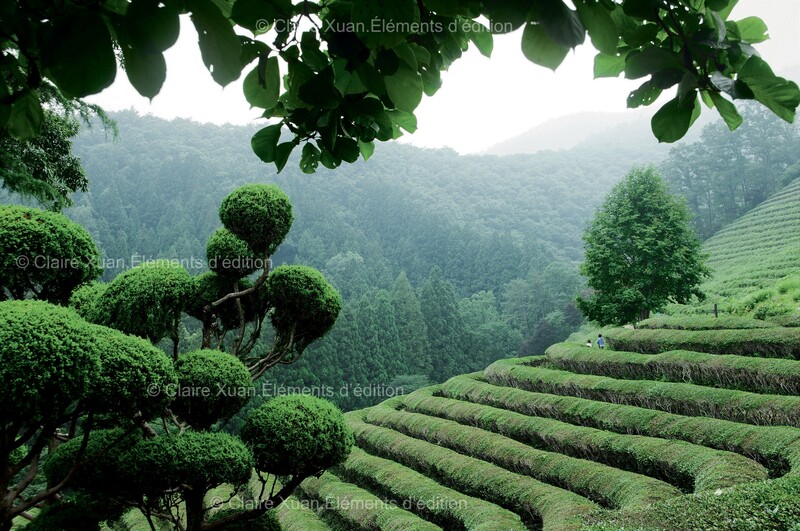 In the 18th century, this Zen monk intellectualized tea and dedicated a significant work to it. Short excerpts from his Hymn to tea are here to be found. But before savouring some Nokcha, the Korean green tea, Korean people come and admire the elegance of the curves and the bright shades of green as the seasons go by. 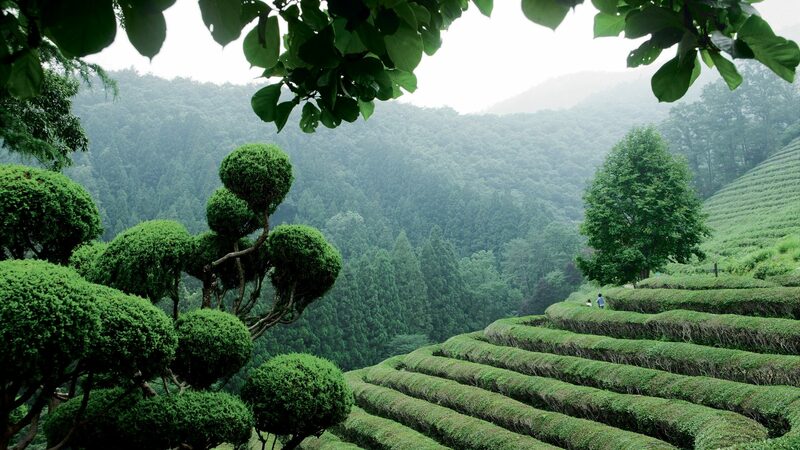 In the alleys of the Boseong green tea fields, for instance, like the visitors of some exotic gardens strolling and marvelling at rare plants. 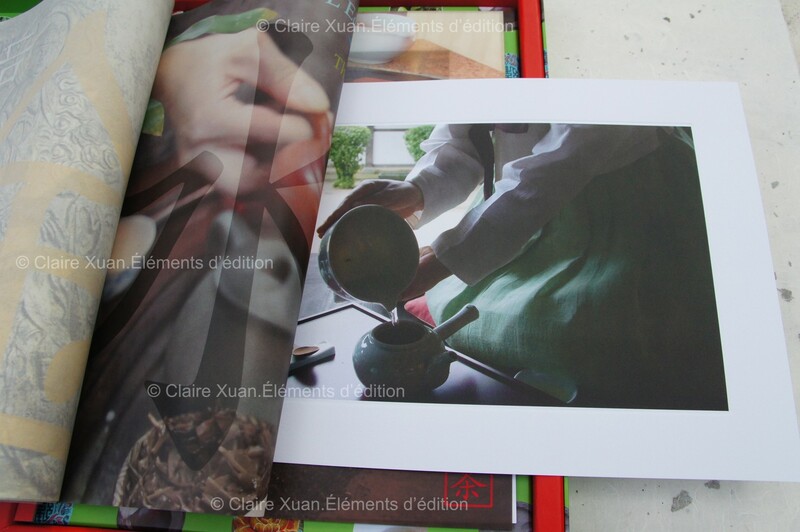 The first page of this portfolio is made of Hangi, the traditional Korean paper. The rare quality of the sheets – exclusively made for this work using Nokcha leaves from the Boseong gardens – makes each edition unique. Claire Xuan. Tea and Temples from Korea. Éléments d’édition. 2006. 420 € tax inclusive. VAT: 5.5%.